It has been quite a few days since I have posted. We are in the process of painting and picking out new carpet so this will all be done before making the big move. I never knew there were so many shades of beige :-) But I have so enjoyed reading all of the sweet comments from last weeks posts. You all are a great bunch of gals, and I am so blessed to know each one of you. I have been packing. And in the process I've come across some ufo's that were down in the bottom of the quilting stacks. It's funny how our tastes and color preferences change. But I still love some of these patterns. You know I've always heard that styles and colors come back full circle. Maybe one day I will get these quilted and finished. On another note, I have changed my comments to be moderated as there seems to be more and more spammy comments hitting my blog pages. So for now, I will moderate the comments. Hopefully that will deter some of these folks that have nothing better to do. How was your weekend? I'd love to hear what is going on in your quilting world. I've been reading blogs and trying to respond to anyone who comments on my posts. I love to hear from you. Take care and have a happy quilty day. What a day it was yesterday! We went to the new house for a final walk through, then to the Title company to sign papers. It was a little nerve wracking, as I got very sick on Sunday and my hubby locked his keys in his car on Monday afternoon. It was a day filled with excitement and some fun too. After we got the keys we went back to the house and had a pizza party! Day 1 - I think most of you who read my blog know that I live in the Sunshine state of Florida. I love living here, mostly because we have nice warm weather 9 to 10 months out of the year. We have three children. A daughter who is 29, a son who turns 26 TODAY! and our 18 year old graduate :-) I have homeschooled our children all the way, and now I get to retire and move on to the next phase in life. 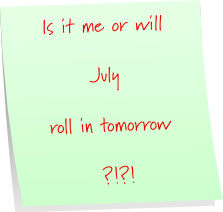 Day 2 - If I was not a quilter was a pretty hard question for us quiltaholics, right? Well I would love to play a musical instrument. I would love to play either the piano or the cello. I am always in awe to hear someone sit down at a piano and play beautiful music. Day 3 - If money was no object, wow, what would I do? I don't really know, except that I would want to help people. Not people who are just looking for a hand out, but families that are struggling, widows, young people, old people. The list could go on. Day 4 - The happiest moment in my life would have to be when I married the greatest guy in the whole world. I am blessed beyond measure to have a husband that puts up with me and loves me anyway. There are several saddest times. One would be when my Mom passed away, and when we lost several babies in miscarriage, and when my best friend died 5 years ago. These are things that ripped out my heart. The good news is, I know I will be reunited with each one of them one day, when we walk the streets of gold. Day 5 - I had two teachers that influenced me growing up. My 4th grade teacher, Mrs. Hiegel, and my 10th grade English teacher, Mrs. Kenyon. They both encouraged me and gave me confidence to do things I never thought I could do. There were others I am sure, but they stick out in my mind. And there are many who inspire me today. I am inspired by women like Elisabeth Elliot and Amy Carmichael. People who have given all of themselves with no desire for anything in return. Whew, well I am sure you are glad I am finished with that. So now on to the winners! The Random Generator was working up a sweat today. There will also be an extra surprise package for Carrie and freeindeed. Okay girls everyone needs to send me your mailing address. I am not sure how quickly I can get these all mailed. We are starting to move into the new house, but I will not delay in mailing. Thank you all again for celebrating with me! I have enjoyed getting to know each one of you. Friendships certainly crosses the cyber space miles. I hope you had a wonderful weekend. Father's Day does not seem to be as big of an occasion as Mother's Day, but it is not any less important. I have a few pictures of the outside of the house. This is the back deck. The screened portion is a very lovely closed in patio off of the kitchen and living area. Here is the side yard. The little side patio off of the guest bedroom. The house is going to look so different when we get the keys today. All the furniture will be moved out and we will be looking at a clean palette. For the New Beginning Day Five giveaway, I'm sharing with you a Bow Tuck Bag, similar to the one that I showed when I first started blogging. Day 5 - To enter this giveaway, please leave a comment on this post telling me two things. First, who had the biggest influence on your life growing up, and second, who inspires you now. Be sure that I have a way to contact you. The giveaway ends tonight, but if you this is the first time you have visited, you can still go back and enter any of the other giveaway days. We sign and close on the house this afternoon. Thank you for celebrating New Beginnings with me. Hi there! Welcoming you back to help me celebrate some big changes in my life. I can't tell you how much I have enjoyed getting to know each of you a little bit better. I feel like we sat down with a cup of coffee (or tea) and had a wonderful chat. But I want you to see some more of the house. Yes this house is so beautiful. The folks that owned this house really took care of it, for which I am very grateful. There are four bedrooms, this one being the Master. And the Master Bath, with two huge closets! I told my hubby that I'd buy this house just for the great closets. The second bedroom, with a private little patio. This next one will be our son's room. And how about this 4th bedroom! Don't you just love this antique furniture? My daughter loved it when she walked into this room. We were able to buy the furniture from the owners. Which makes for one happy daughter. So now, are we ready for Day Four of the giveaway?? You know sometimes we quilters have to spread our wings just a little bit, and get out and about for a little change. Today I thought I would help you with a little compact shopping bag and a little something tucked inside. The winner of Day 4 will have their choice of either a $10 Target gift card, or a $10 Starbucks gift card. But you also get to choose one of these. Pick either a turquoise or red Fat 8ths bundle. Day Four - To enter for this giveaway I'd like for you to tell me the happiest moment in your life and one of the saddest. I think we sometimes get to really know someone when we know their joys and their sorrows. Leave a comment on this post, and be sure I have a way to contact you. And don't forget to tell me if it's Target or Starbucks. Turquoise or red. You get to choose. I hope you will enjoy your Sunday. It is family day for us, so I won't be posting again until Monday. Be sure to hug your Dad and spend some time with him. Welcome once again to my New Beginnings giveaway! It has been SO much fun to get to know each of you just a little bit better. I feel like I have been friends with some of you ever since I started blogging. Here is another tour of our new home. Look at this fabulous kitchen!! I am so excited to have cabinet space! A shot from the other direction. The family room which is right off of the kitchen you see on the right. Can you tell I am excited!! So here is Day Three of my New Beginnings giveaway. 16 spools of Coats and Clark Thread. I use this thread all the time for my piecing. Plus a Hexagon Shape template, 500 Sharp Fine Quilter's Pins and two fat quarters of sewing related fabric. Woo-Hoo are we celebrating yet! Day Three - As I have enjoyed getting to know each of you, I'd love to know what you would wish for if money was no object. What would be the best birthday or Christmas gift ever! Leave a comment on this blog. If you are a winner, please be sure I have a way of contacting you. If your email is set for no-reply, leave an email addy in your comment. Remember to write it out with "at" and "dot". The boxes await! Have a great day!! A couple of readers asked to see pictures of our new home. I thought it would be fun to share a few pictures for the next few days. Please remember the furniture belongs to the sellers and will be moved out this weekend. Which leaves us with a blank pallet. The entry way with those beautiful glass doors. Living area with a wood burning fireplace. A small office area just off of the living area. I wrote a post about finding this house over on my thrifting blog. If you have not already read about it, please take a moment and hop over to Just a Little Southern Hospitality. Lotusland's is an applique pattern, with two blue fabrics to get you started. Strawberry Jellies is Jelly Roll friendly. I've included enough fabric for the yellow prairie points and the striped binding. Day Two - To be entered for this giveaway I'd like for you to answer two questions. First, if you were not a quilter, what hobby or craft would you enjoy. Would you make stained glass windows, paint portraits, make sculpture or do woodworking? Let's see what other things interest you. Please be sure to leave a way of contacting you. If your email is set for no-reply, leave an email addy in your comment. Remember to write it out with "at" and "dot". Okay on to more packing! Have a great day. As in all things, when one thing comes to an end, there is usually a new path to enter. When we started schooling our children, it was with the intention to do it one year at a time. There were times when it was a challenge, but mostly it was full of fun and learning on their part and mine. My children very quickly overcame my abilities, and so entered tutors, and classes to complete the required areas. The progression was one of mother, teacher and now friend. I have learned along with them (but they are still much smarter then I will ever be!). So now we graduate our youngest son. He has hopes of entering college in the fall. And as time would work out, we are moving from the home we have lived in all these years. One that has been loved and filled with memories, to a new one. It is only about 10 miles from our present house, so I am hoping the move will go quickly and smoothly. It is always much more fun to have a giveaway where more people can win a prize. So for the next five days, we will celebrate! For Day One I will give away a copy of "365 Foundation Quilt Blocks" by Linda Causee. Day One giveaway -I would like to know a little more about you, my bloggy friends! To be entered, leave a comment on this post telling me a little bit about yourself. Start with where are you from? If you have children, what are their ages. I'd love to learn more about all of you out there in blog land! If you are a winner, please be sure I have a way of contacting you. If your email is set for no-reply, be sure to leave an email addy. Remember to write it out with "at" and "dot". Okay, so what have you been up to this weekend?? My son took his ACT test on Saturday, which marks the end of our school year. And even more then that, the end of MY school years! Yep I am retiring. ho,ho, after 24 years of homeschooling my sweet children, we are all done!!!!! Woo-Hoo!!! Let's celebrate! What should we do? Okay, let's have a giveaway. I was going to have a giveaway for my blogiversary, but it slipped by and then there was Sew Mama Sew, and the incredible Bloggers Quilt festival. But I think this will be a better way to celebrate two important events. The graduation of my youngest and a New Beginning as we move into a new house! Do you "heart" vintage sheets? I've been in love with them ever since I saw this quilt made up. So I've been collecting sheets and pillowcases, when I find them at the thrift shops. I think the word must be getting out, because they are getting harder and harder to find in my area. If you "heart" vintage, pop over to All Things Vintage Sheets. She is hosting a very sweet giveaway. And I almost don't want you to pop over to Jane's Fabric and Quilts. She's giving away the most delicious PINK fabrics. And I do so "HEART" pink. And something is definitely happening with Blogger. I am not able to return to my Dashboard which is not a good thing. Anyone know what gives?? Some of my readers may already know, but we will be moving from our little cottage very soon. I wrote a post about it on my Thrifting blog, and you can read about it here. Wow, talk about a field of flowers! I laid a piece of black that would be used for a border, but I sure hope I still have some green left to frame it in. This is the pattern I use when I show a newbie how to quilt. It is a fast and easy quilt in a day type pattern. One of these days I will write up a tutorial on it. It was stashed away to be completed, and I never got around to it. You know about those Round Tuit's, right? My quilting buddies are going to moan over this one. We won't mention how long ago we made these quilts. For some reason blogger has been giving me a very hard time the last couple of days. Anyone else having difficulty?? **** Just an update. Blogger is not being friendly today. I have had difficulty leaving comments on blogs and sometimes blogs won't even open before a time out message appears. Is there some kind of construction going on?? Splitting Stitches is giving away a complete quilt kit! Jaybird is also hosting a giveaway for The Quilt Shoppe. You must check this one out. AND my sweet friend RaeAnn is also hosting a fun Giveaway celebrating her 200 followers. Don't you just love those colorful pinwheels? And don't miss out on the Accuquilt GO! here. So, now you know that it isn't a good idea to sleep in on Mondays. Check them out! 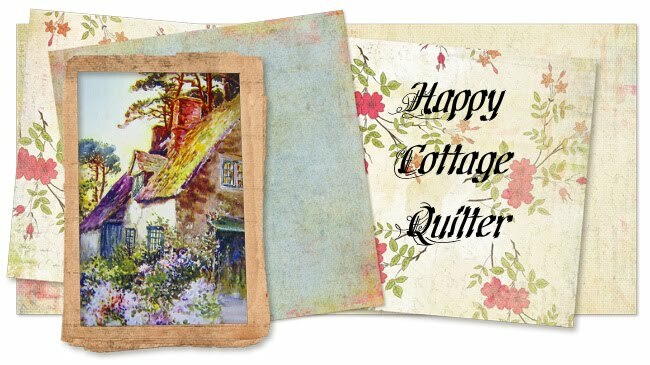 Wishing you a wonderful quilty weekend! One of my favorite local quilt shops has recently moved, so we popped in to check out the new location! And always some gorgeous samples. What better way to spend the day? ?